Friends of Trees (FOT) is nationally recognized and locally known as the Portland metropolitan go-to resource for homeowners who want to plant trees. Working with the organization is hassle free, and the costs of the trees fit neatly into most household budgets. Starting this month, and on most weekends through April, volunteers dressed for the weather are sent across Portland neighborhoods with twin goals of planting trees and building community. Cheryl Brock is the FOT neighborhood coordinator for Concordia. She’s been a Concordia resident for nine years, seven of those years as a FOT volunteer. In the beginning, she contacted FOT for a tree for her home. She enjoyed getting to know the neighbor volunteers who dug the hole, set and planted her tree. Inspired by her experience, she contacted FOT and offered to help with their tree planting events. Cheryl has never regretted getting involved. FOT’s core value of community engagement to improve livability resonates with her. From the annual mid-March Concordia neighborhood tree planting event to sharing wholesome lunches with planting volunteers, to learning tree pruning, Cheryl thoroughly enjoys being part of the FOT team. ”It just feels good, the right thing to do,” she said. Although substantial – FOT has planted 650,000 trees and native shrubs in the Willamette Valley since its inception in 1989 – it’s not the first effort in Portland to increase the tree population. The history of community stewardship and tree planting here can be traced to the Olmsted Brothers’ plans of 1902 and the Albina Neighborhood Improvement Project (ANIP) of the 1960s. The Olmsteds drafted plans for some of Portland’s neighborhoods, college campuses and public parks. Their plans linked parks and streets with tree-lined neighborhoods. The ANIP was tasked with planting nearly 600 Kwanzan flowering cherries in a 20-block section of Albina, the present day Eliot neighborhood. Many of these early plantings can still be seen between Humboldt and Fremont, and between Albina and Haight. The Kwanzan provide the spectacular spring blossom display of the Washington, D.C. mall. Karen is a retired early childhood community educator, health and safety trainer. Reach her at 619.244.7892. 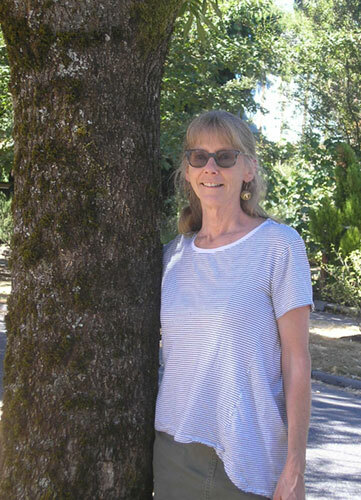 Editor’s note: Karen tapped many resources for this story on community tree planting. She shares those resources with you at ConcordiaPDX.org/trees.